Overall 2018 cargo shipments on the St. Lawrence Seaway during the period ended July 31 totaled 16.5 million tonnes, equal to the volume carried during the same period in 2017. 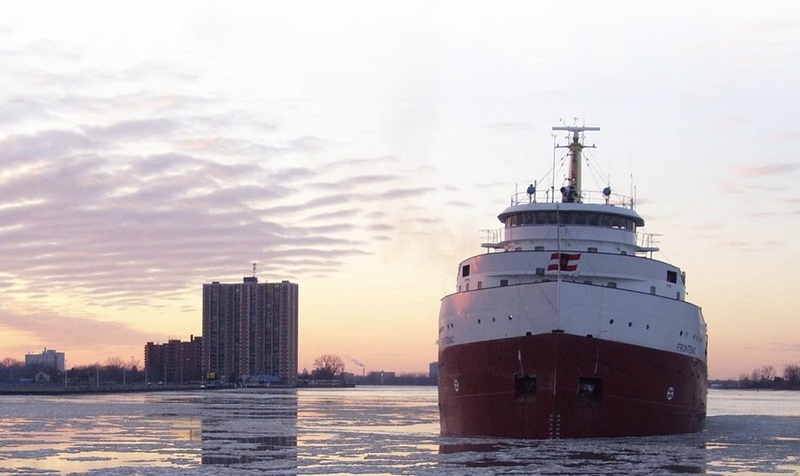 Grain exports were up this season, with year-to-date grain shipments via the Seaway totalling 4.2 million tonnes, up 7.5 per cent compared to the same period in 2017. Canadian grain shipments, which represented 3.3 million tonnes, were up 3 per cent while U.S. grain was up nearly 32 per cent. Canadian grain exports to Europe continue to climb due to a large carryover from 2017. With a strong 2018 harvest expected, this momentum should continue in the autumn,” said Terence Bowles, President and CEO of The St. Lawrence Seaway Management Corporation. Liquid bulk shipments, which include petroleum and asphalt products among others, totaled 2.26 million tonnes, up 25 per cent. Increases in petroleum shipments are mainly due to the rebalancing of stocks following scheduled maintenance shutdowns of several refineries in the region. Coal shipments, which represent only about 6-8 per cent of total Seaway volumes, were up strongly for the month, and increased by 33.7 per cent on a year-to-date basis. On the other hand, shipments of dry bulk products trailed 2017 on a year-to-date basis by 9 per cent. Similarly, shipments of iron ore trailed 2017 on a year-to-date basis by 15.3 per cent. Shipments of stone shipments and cement shipments were up strongly at Windsor Port Authority, with the port having received significant volumes of construction aggregates this year for construction of the new plaza for the Gordie Howe International Bridge project. As of July 31, the port of Hamilton is showing strong gains in year-over-year cargo tonnage, with agricultural cargo leading the way through export of Ontario-grown grain through the port’s three grain terminals, owned by Richardson International, Parrish & Heimbecker, and G3 Canada Ltd.; as well as imports of fertilizer. Hamilton is closing in on a million tonnes of ag-related cargo already this season. Coal and coke to enable steelmaking represent another strong area for the port of Hamilton so far this season, with shipments in this category trending 40 per cent higher than the same period in 2017. This activity is attributed to new momentum at Hamilton-based steelmaker Stelco, and continued robust activity at ArcelorMittal Dofasco.